LONG BEACH, CA (Laserfiche)—November 30, 2011—Delivering on its commitment to help customers grow the value of their enterprise content management (ECM) investment, Laserfiche today announced the immediate availability of Laserfiche 8.3. The new release spans various lines of business, helping organizations improve information governance and automate transactional processes such as accounts payable processing, case management, contract management and HR onboarding, among others. “We are committed to providing product enhancements that improve the way organizations do business. 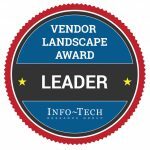 Over the past year, our customers have begun automating more and more complex business processes, and we developed Laserfiche 8.3 to respond to their needs,” said Tom Wayman, Vice President of Product Strategy at Laserfiche. New Workflow activities that improve productivity. 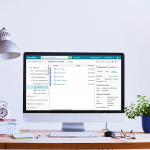 With Laserfiche, organizations quickly automate transactional processes by dragging and dropping pre-built workflow activities onto a graphical canvas. Database activities automate the process of retrieving and updating information from third-party databases, simplifying integration. PDF activities add immediate value to the product suite by enabling Laserfiche administrators to automatically import PDF forms into Laserfiche, retrieve information from PDF fields and map them to Laserfiche fields. More than 60 built-in workflow activities make it easier than ever to customize workflow configuration to the unique needs of each organization and line of business. Digital signatures that simplify information governance. Digital signatures in Laserfiche 8.3 are validated with signing certificates on the server, so users know that a signature is trustworthy. Digital signatures can also prompt Workflow activities that guide documents through the approval process. A new Web Administration Console that improves deployment flexibility. Laserfiche 8.3 offers an easy way for administrators to securely access the administrative functions of the repository from anywhere—including remote sites, client computers and even mobile devices—making administration more flexible than ever. Watch quick, 5-minute video on the user-value of the new release, and the development philosophy behind it. Get a full technical overview of features in our whitepaper. Or visit support.laserfiche.com for videos, forums, Knowledge Base articles, and more.